I have seen some women with white nail polish and wanted to try it on myself. It was actually hard to find a bottle of white polish that didn’t have a pink base. I like the outcome though. It looks really bright paired with my summer complexion. I think this would look good on anyone too. 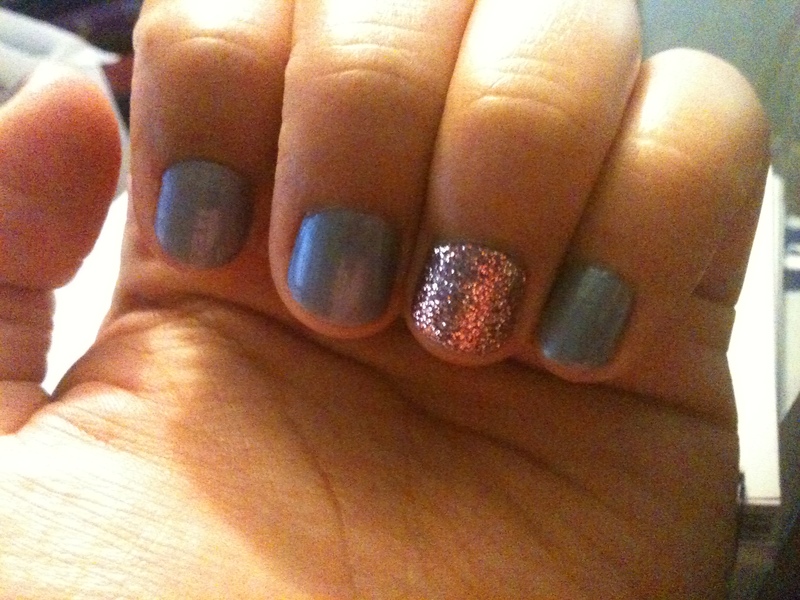 I added an accent nail with silver glitter so it wouldn’t look boring. This will look pretty done any time of year too. I think in winter I will add the silver glitter to every nail. Have you tried the white nail look yet? Are you willing to try it?